This picture was taken on our trip to Ireland this year. 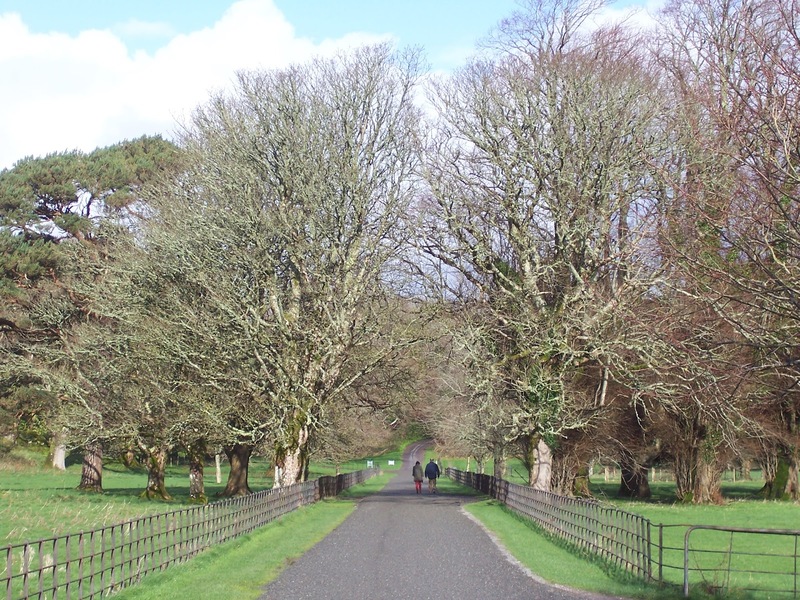 It's a lane on the grounds of Muckross House. Isn't it beautiful?! We were there early in the morning and it was a little chilly, but gorgeous. 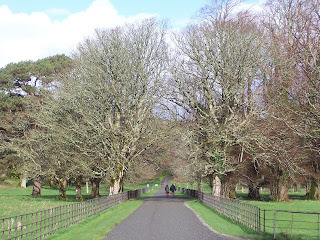 We looked down the lane and saw people walking at various paces and in different places along that road. Everyone enjoying a different part of the scenery - a different view. This week is like that a little bit. Today I'm driving to Dallas to attend the ACFW writer's conference. There are quite a few of us who will be attending for the first time. There are also those who have attend every year since the beginning. There will be newbie's like me and multi-published, award-winning authors (like me in my really good fantasies!) all mixing and mingling and sharing the journey. It's awe inspiring. I want to savor ever part of it and I want to be very careful that I don't miss a single bit of my unique journey because I'm too busy concentrating on someone else's view. God has done an amazing work to bring me to this place. I don't have a clue what's next on His agenda but I want to be looking for it and prayed up for it and really ready. When God begins to work with your dreams it probably means letting go of and stepping out of your comfort zones. I know I am. It's also exciting enough that you don't really want to go back to that safe place. Most of the time. I know that God has a unique journey for you. Have you figured out what it is yet? Are you willing to step out and be obedient and vulnerable? I think it will be worth it and I hope to have some amazing stories to share with you soon. Please share yours with me. Let's encourage one another as we pray for each other.